Chennai seems to be loosing out on the fast food culture and moving on to fine dining, whereas Bangalore still seems to have a mix of both. 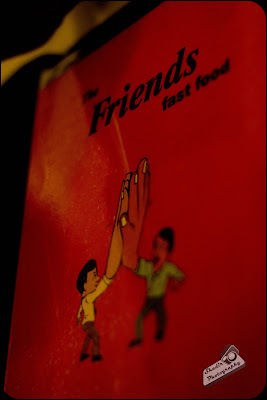 I visited one of my favorite fast food joints during my recent visit to Bangalore, "Friends Fast Food." Friends is a fairly small restaurant with an open ambiance. I was here along with my cousin. We sat down and placed the order rather quickly as I needed to catch the return bus to Chennai that night. My quest for tasty burgers lingers in me. So I picked the chef's special burger, whereas my cousin picked the Chicken Baguette. We also ordered for a portion of Baked Chicken. 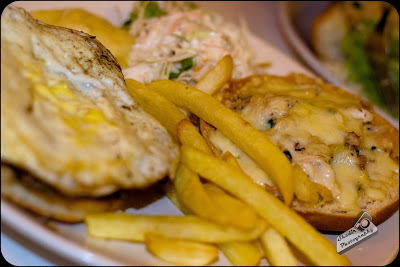 The Chef's Special Chicken Burger had loads of chicken, cheese and also a fried egg. 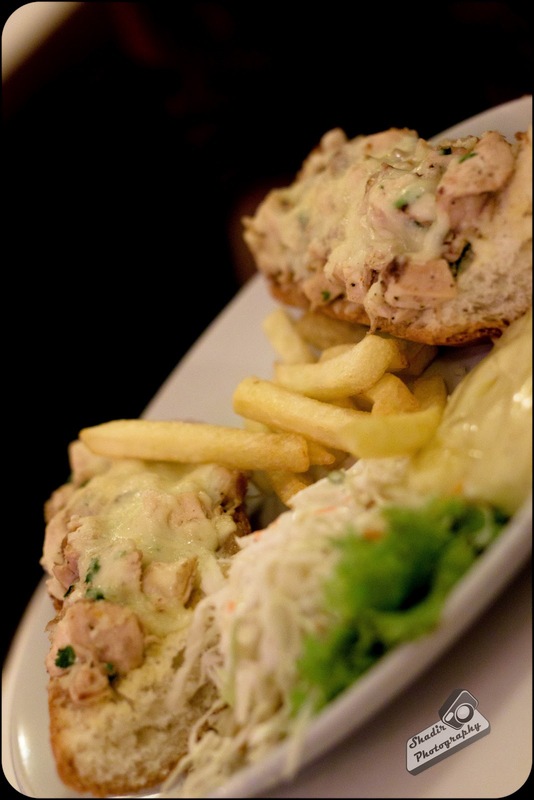 The Chicken Baguette too was topped with lots of chicken and cheese. To top that, both the burgers were flooded with french fries, mash potato and coleslaw. Both the burgers felt properly big and will put a person with small mouth in trouble while trying to take a bite of it. Good thing we both had large mouths and even larger appetites. The coleslaw accompanying the dishes was a little sour. Both burgers tasted yummy!. They were not pucca greasy burgers, which you made a mess of when you ate them. We used the mash potato like a dipping sauce and devoured the burgers. 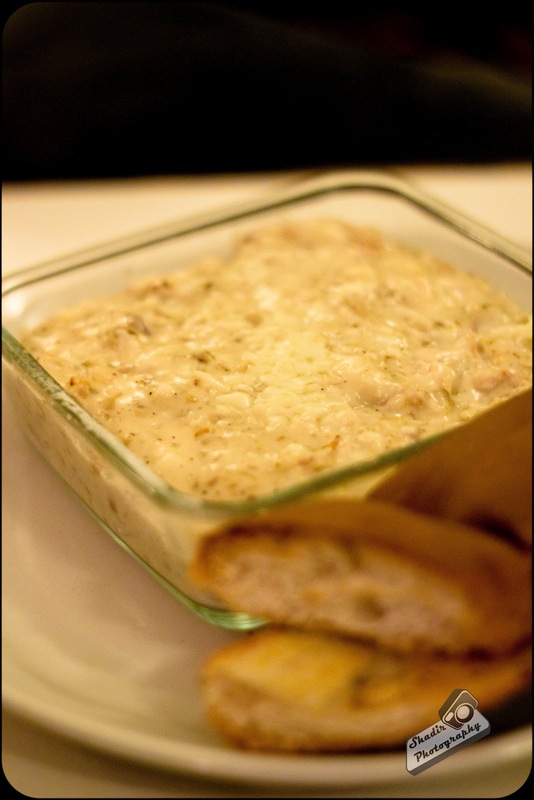 The Baked Chicken with toasted garlic bread was delicious. The chicken was minced and well mixed with the cheese making it down right yummy. We ended up paying Rs 530/- for the meal, for a delicious and cholesterol filled diet. You would be surprised by the quality of food served for a place of this kind. Friends fast food is located in Koramangala on the road parallel to Corner House.